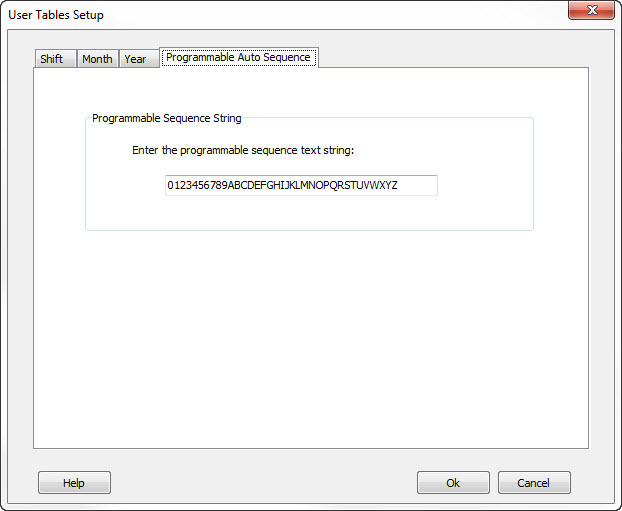 When you want to sequence a field that contains letters as well as numbers, you must enable the "Auto Sequence the Text" property in the Text Field Property Editor for the field you want to sequence. Note that if the text field is specified as an operator entry field (e.g. 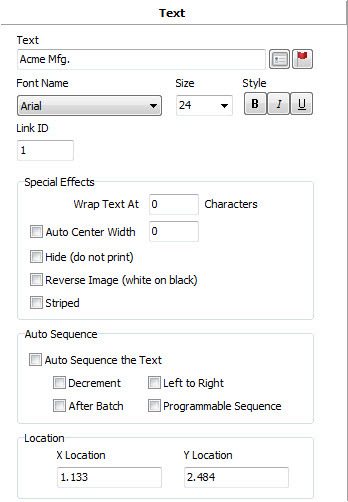 %2V) then whatever the operator enters into the field at print time will be the text that is sequenced.